Stadio Delle Alpi was between 1990 and 2006 the home of FC Juventus and Torino FC. The stadium got built to serve as a playing venue at the 1990 World Cup. It was designed by Studio Hutter and could hold a total of 69,041 spectators divided over three tiers. 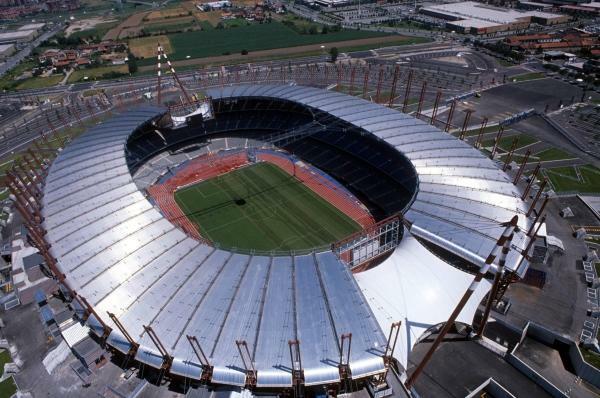 The stadium officially opened on the 31st of May 1990 with a friendly match between a team composed of Juventus and Torino players and Portuguese side FC Porto. 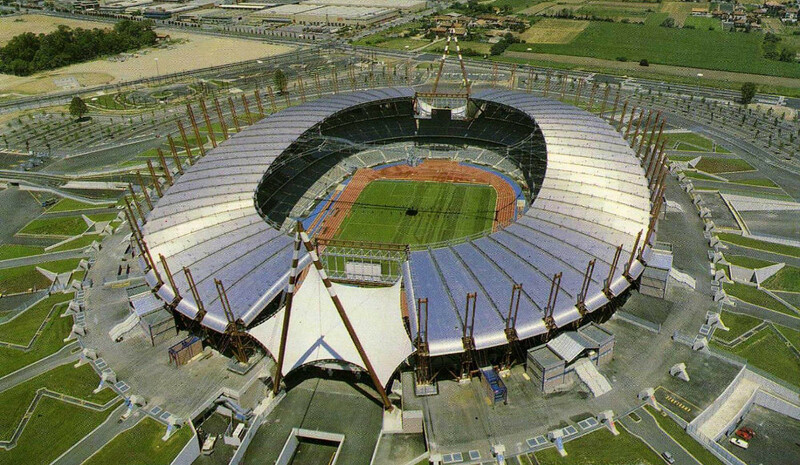 During the 1990 World Cup the stadium hosted three group matches, the round of 16 match between Argentina and Brazil (1-0), and the semi-final between Germany and England (1-1). From its inauguration the stadium was unpopular with both sets of home fans. The bad visibility from the stands, the distance between the stands and pitch due to the running tracks, and the design that left the spectators exposed to the elements all contributed to the stadium’s bad reputation. The running tracks had been added to the design so that Italian Olympic Committee CONI would provide funding, however were in the end rarely used. It also turned out that maintenance costs were far higher than projected, which led to sky-high rental costs charged to the clubs by the city of Turin, the owner of the stadium. Whereas in the 1990s average attendances of both clubs were still quite reasonable, these fell back from the early the 2000s with Juventus often having trouble filling half of the stadium and Torino, having been relegated, not even filling a third. After Juventus had bought the stadium from the city in 2003 the club started planning for the construction of a new stadium. Torino had in the meantime acquired the right to play its games at their old Stadio Comunale which had been completely redeveloped for the 2006 Winter Olympics (and was consequently renamed Stadio Olimpico). 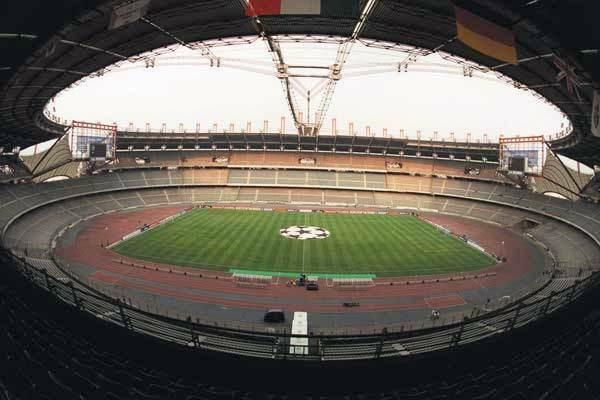 In 2006 Juventus moved together with Torino to the Stadio Olimpico and two years later, in 2008, Stadio Delle Alpi got demolished to make place for their new Juventus Stadium which opened in September 2011.